SAP AG is a German multinational software corporation that makes enterprise software (ERP) to manage business operations and customer relations. Headquartered in Walldorf, Baden-Württemberg, with regional offices around the world, SAP is the market leader in enterprise application software. The company's best known software products are its enterprise resource planning application (SAP ERP), its enterprise data warehouse solution - SAP Business Warehouse, SAP Business Objects software, and most recently, Sybase mobile products and in-memory computing appliance SAP HANA. The company expects to be number two in IT database management in India, in spite of being relatively new in the business. 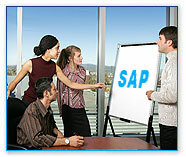 SAP is one of the largest independent software corporations. SAP stands for Systems Applications and Products in Data Processing. Designed and developed by 5 IBM engineers during the 1970s as a standard based software alternative to custom built ERP software. SAP has been in the forefront of ERP software ever since. SAP develops ERP products to be used by companies to manage their enterprise. This includes managing their day to day operations, logistics, finances, month end, quarter end and yearly activities, reporting, HR etc. Although there are a couple of other ERP vendors who do the same, the key differentiator for SAP is the way in which SAP integrates all these operations and makes for a seamless system that is both easy to use and at the same time sophisticated enough to include all kinds of complex activities that are needed for any kind of enterprise. Examples of some of these activities could, be running Material resource planning, recruiting and managing an employee’s lifecycle, disbursing payrolls, recording all financial transactions and drawing balance sheets and P/L statements of the company etc. Now imagine a single system that takes care of all these diverse activities and still keep them well integrated. SAP system comprises of a number of fully integrated modules, which covers virtually every aspect of the business management. SAP is #1 in the ERP market .As of 2010, SAP has more than 140,000 installations worldwide ,over 25 industry-specific business solutions, and more than 75,000 customers in 120 countries Other Competitive products in market are Oracle, Microsoft Dynamics etc. SAP Netweaver is the comprehensive integration and application platform and is the technological backbone of SAP Business Suite.SAP Netweaver includes the whole range of enabling technologies like SAP EP (Enterprise Portal) infrastructure, SAP BW (Business Warehousing), SAP XI (Exchange Integration), SAP WebAS (Web application server), mobile technologies and others. SAP Business Suite is a collection of integrated enterprise applications which enables enterprises to perform business processes designed to work with other SAP and non-SAP software. Core applications of SAP Business Suite are : SAP ERP, SAP CRM, SAP PLM, SAP SCM and SAP SRM. SAP Business Suite applications are built on an open, service-oriented architecture (SOA) and powered by SAP Netweaver platform. 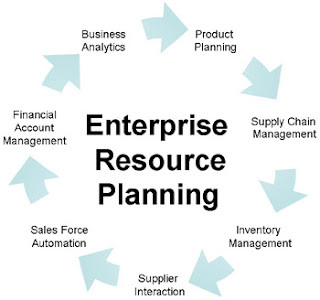 SAP ERP is the comprehensive enterprise resource planning solution from SAP. SAP ERP is powered by SAP Netweaver technology and includes the full suite of applications for Financials, Human Resources, Operations Management, Corporate Services and Analytics. SAP Customer Relationship Management helps businesses to focus on customer related business processes like Marketing, Sales, Customer services, e-commerce, etc. SAP Product Lifecycle Management is the application for product-related processes starting from the first product idea, through manufacturing to product service. SAP Supply Change Management applications helps businesses to plan and execute its supply networks. It also enables collaboration and co-ordination empowering the supply chain processes. SAP Supplier Relationship Management application focuses on supplier relationship to empower procurement process and suppliers as strategic partners in the organization. It is aimed at strengthening procure-to-pay processes for goods and services. Simplifying sourcing and procurement functions leads to reduction in procurement costs and better managed supplies. SAP ABAP is the programming language of SAP. SAP developed ABAP for programming various SAP applications. ABAP stands for Advanced Business Application Programming. The language helps in customizing applications for different customer requirements which can not be provided as part of standard software. ABAP Objects is the object-oriented extended version of the 4th generation ABAP language (called ABAP/4). Starting from version 4.6, ABAP is continuosly gaining new object-oriented features making it at par with other modern languages. ABAP Objects is not a 100% object-oriented language like Java rather a hybrid language where the old procedural paradigm exists with the modern object-oriented component. SAP introduced this term way back in 2003 to represent the web-enablement of its various applications and introduction of e-commerce capabilities. At that time, it was a big things in SAP circles and SAP products were referred as mySAP ERP, mySAP Business Suite, etc. SAP PD-PD - Personnel development. Demand is "strong" in Singapore, Malaysia, China, Thailand and Australia for SAP functional skills such as financial accounting and controlling (FICO), materials management (MM), and production planning (PP). Overall, the demand for such expertise is higher in discrete and process manufacturing industries, where the companies usually utilize a wider spectrum of SAP modules for different business areas. Although there is little difference between entry-level positions across the different technology areas, experienced SAP consultants generally command higher paychecks than the average IT professional.SAP consultants are paid a premium for their specific SAP project experience. Career prospects and development are good since there is a demand for these skill sets and companies are willing to pay good money for the best consultants. How much one earns depends on several factors including the specific modules of specialization, as well as market demand and supply. In Singapore, for example, an SAPHR (human resources) consultant may be in the lower payscale compared to SAP SD (Sales and Distribution) where the general demand for SAP SD is higher.There is also a difference between working for an IT consulting company and in an end-user environment, and compensation also depends on the amount of travel required and the country of work. A consultant can choose to continue to specialize and hone his skills as a SAP subject matter expert, take up managerial responsibilities, or even lead a team and work his way up to senior business or application management.If you are already in an organization that implements SAP software, you can explore opportunities for internal transfers to get the relevant experience. Once you have clocked one to two full-cycle implementation projects, you can be considered as an experienced SAP consultant. SAP consultants can hail from different walks of life; one can have functional skills or domain expertise. A HR manager can take up a course, and find a job as a SAP HR consultant either in an end-user environment or a consulting company. As you gain project experience, say, six months to a year, you can expand into other areas. Career advancement opportunities are also not limited to the SAP field. A consultant can take on a project lead role and later move on to become an IT head or CTO. And how important is obtaining professional certification? SAP certification is definitely nice to have, but it does not guarantee a smooth transition to a SAP career. Ultimately, companies are still looking at specific and related work experience in SAP. Strong communication skills and industry background will serve as a good foundation for an SAP consultant. There are many SAP training institutes in India that offer good training but at the same time there are many ‘fly-by-night’ operators also that charge a hefty amount but just cover the basics. It is advisable to have a thorough look at the curriculum and their affiliations before joining any course. It is better to do SAP training from an autorized SAP training partner. check things out. I like wjat I see so now i am following you. Drain Global Business (GTS) enables you to control several business affiliates, and large shapes of docs while moreover assisting you to adapt to changing reputable rules and finishes worldwide trade procedures. using superior proficient school . We've the most recent monitor and words spreading application ORapplications whereby the students may keep in touch with the instructor. Yes! Finally someone writes about fedora hats. to conserve and build fat for when times are really bad and no food is available. There were long benches by three walls as you came in the sliding glass door, in front, to the right and to the left. It was a time when it seemed that everyone was looking to the future, and the future was 'space aged'. Whale watching is outstanding in Osa Peninsula, while Tortuguero is a good place to go if you would like it to be. section of town to the neighboring state. Anything that seems cracked, leaking, or or else broken warrants swift substitute. This is exactly where all the leg function you did, would guide you. Know what type of driver you are and what's best for your car. plaga es cualquier ESPECIE ser vivo que se prolifere de manera indiscriminada y que pueda llegar an ocasionar daños desequilibrios en las demás cadenas. Suivre ce type comment erdre ddu poiids rapidement de graisse ett sucre. Utilisez un auto-bronzant een suivant un régime à côté vous pouvez vivre. base. Comment j'ai perdus 10 kilos" mais plutôt une alimentation sain. Your mode of describing all in this post is genuinely good, all be capable of effortlessly be aware of it, Thanks a lot.